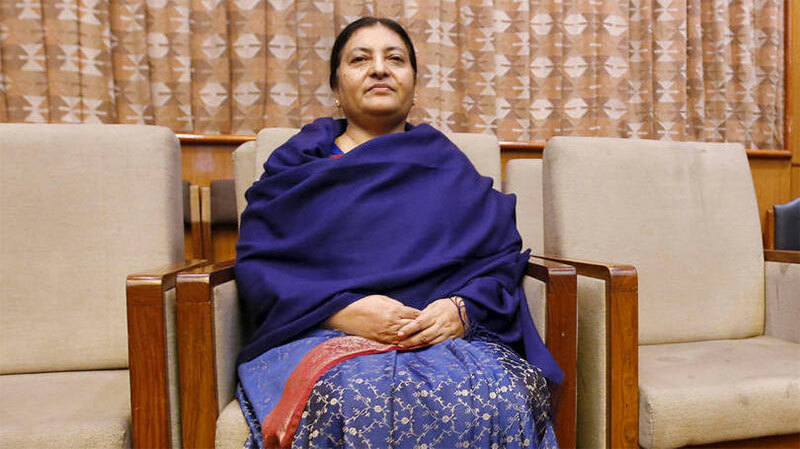 KATHMANDU, Nov 7: President Bidya Devi Bhandari has stressed unity among the political parties to lead the nation towards development and prosperity. At a greetings exchange programme on the occasion of Tihar, Nepal Samvat and Chhath organized at the office of the President, Sheetal Niwas here today, President Bhandari urged all political party leaders to be united for the prosperity of the nation. The President office has further stated that the President stressed on the unity among the political parties to materialize peoples' aspiration of economic prosperity, as such unity was shown by the political parties in political agendas in the past. 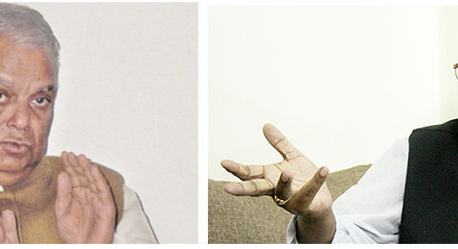 She also committed her support to the government and parties in the journey of prosperous Nepal. 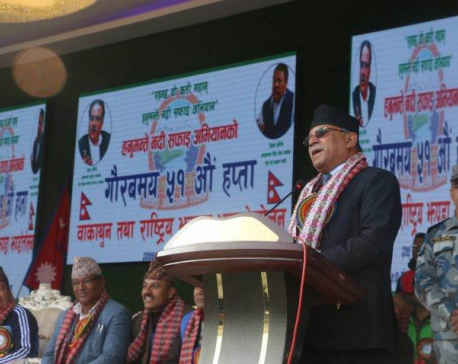 Also present on the occasion were, vice-President Nanda Bahadur Pun, Prime Minister and CPN chair KP Sharma Oli, Nepali Congress President Sher Bahadur Deuba, former Prime Ministers and Speakers at the House of the Representatives among other political party leaders.